This Sunday 3 May, BAFTA 195 Piccadilly will play host to Edible Cinema and BOMBAY SAPPHIRE as the iconic venue stages a special screening of Baz Luhrmann’s Romeo & Juliet. It moves from the Electric Cinema on Portobello Road to the home of British film following the phenomenal success of previous screenings. Guests will be treated to an edible adventure through the film, where experiences will range from a ‘tongue sandwich’ as Romeo and Juliet share their first kiss, to a mini vial of ‘poison’ as the film reaches its epic climax. As guests take their seats, the divided room will become apparent with one side Capulets and other Montagues. Each side will receive different cocktails, inspired by the two families. 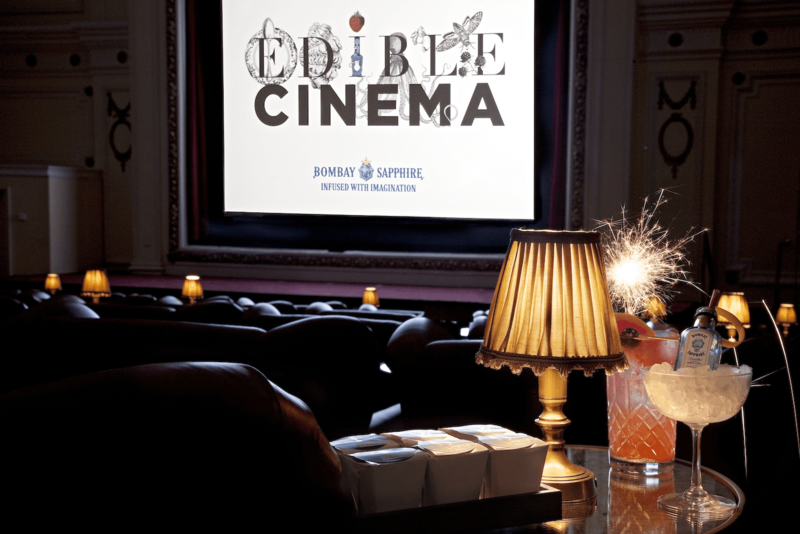 The first of its kind, Edible Cinema is a collaboration between Soho House chef Jake Rigby Wilson, Soho House events manager Zoe Paterson, renowned experience organiser Polly Betton, BOMBAY SAPPHIRE mixologist Sean Ware and BAFTA 195 Piccadilly head chef Anton Manganaro. The concept truly enhances the film using taste, aroma and texture to heighten the viewers’ sensory experience of the film’s most famous scenes. The screening will kick start Edible Cinema’s 2014 programme of events, with new films scheduled for the summer, Halloween and Christmas. All film titles and dates will be announced via the Edible Cinema website.